The ultimate driving experience is not to be taken lightly when it comes to tires or extensive auto repair services. That’s why the highly trained auto mechanics at Cordell’s Automotive in Holmen have what it takes to provide you and your BMW with the very best is service and care. We know that your BMW isn’t just a car; it’s a luxury experience. Not every auto repair facility in Holmen possesses the qualifications to deliver high quality workmanship for your BMW. Cordell’s Automotive does. From the moment we opened our doors in 1983, we made a commitment to this community to be a people-centered auto repair facility and we’ve never wavered. We know how to treat you and your BMW right from the moment you roll onto our facility. Cordell’s Automotive continues to stay on top of the latest in technology and tooling to ensure that we can provide your BMW with all it requires. 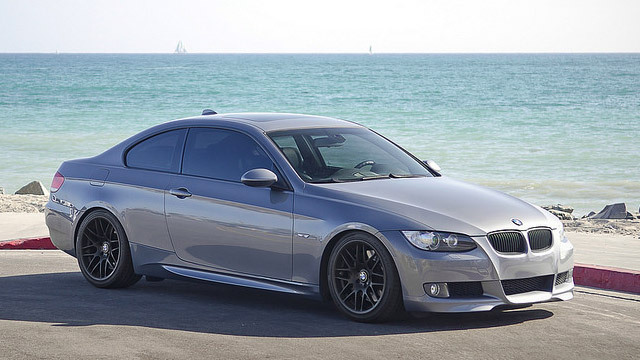 We pride ourselves on being the go-to shop for BMW owners in and around Holmen. We also know how busy you are and that’s why we provide shuttle service and loaner vehicles for those longer jobs. The auto mechanics at Cordell’s Automotive will always make things right and will go out of their way to provide you with the best customer service possible. We back our work with a 3-year/36,000 mile warranty and will always do our best to help you get to wherever you need to go even if you’re tempted to hang out in our awesome waiting room. We’d love to work on your BMW. Schedule an appointment today. Cordell’s Automotive is located at 300 South Holmen Drive, Holmen, WI, 54636. Our hours are 7:00 AM - 5:30 PM, Monday - Friday. We also service the communities of La Crosse, Onalaska, and Trempealeau.